Home Microsoft Word What is the Highest Number of Columns I Can Have in Word 365? What is the Highest Number of Columns I Can Have in Word 365? Adding columns to a Word document is something that you may occasionally find yourself needing to do. Typically most documents with columns will use two or three, but what if you need to have more? 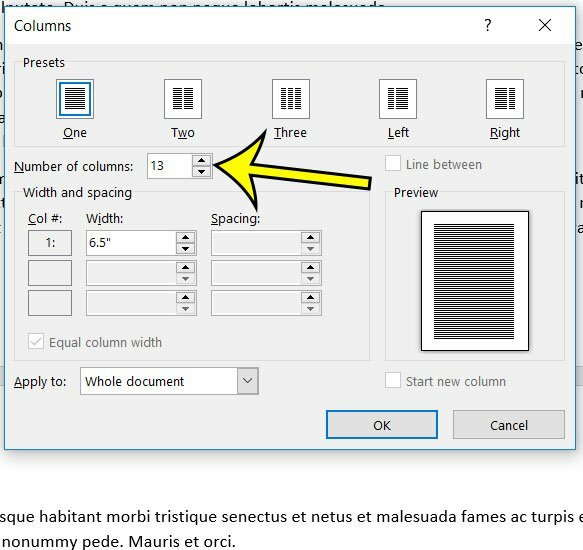 If you are curious about whether or not you can have the number of columns in a document that you need, then it’s helpful to know that the highest number of columns you can have in Microsoft Word is 13. Our tutorial below will show you how to change your document settings to use one of the higher number of columns. The steps in this article were performed in Word for Office 365. 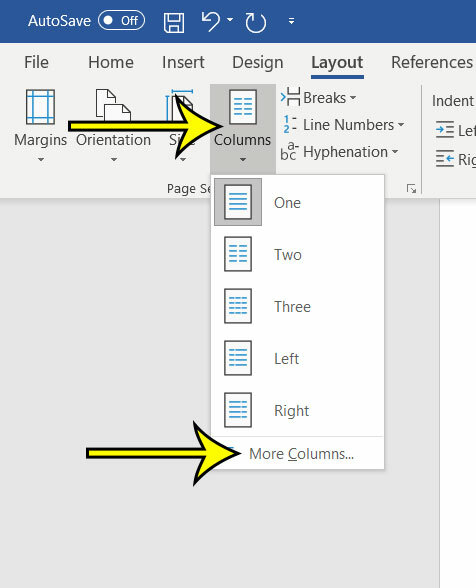 By completing the steps in this guide you will be creating a lot of columns in your document. Step 1: Open the document in Microsoft Word. Step 2: Choose the Layout tab at the top of the window. Step 3: Click the Columns button, then select the More Columns option. Step 4: Increase the value in the Number of columns field to the desired amount. As mentioned previously, the most columns you can have is 13. Once you’re done, click the OK button. If you absolutely need to have more than 13 columns in your document, then adding a table may be a better option for you. Are your columns running together and you need some way to separate them? 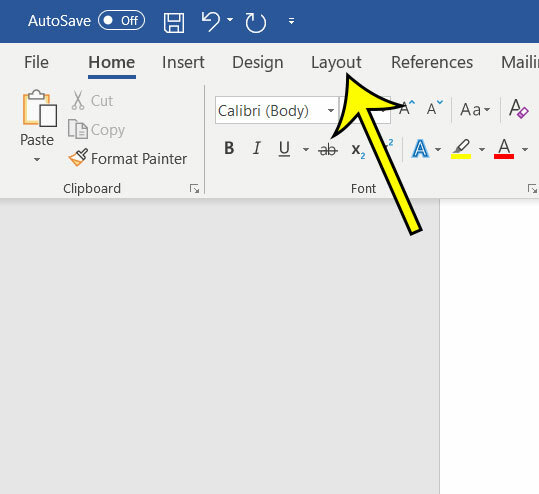 Find out how to add a line between columns in Word and make things a little easier to read. Where is the Character Panel in Photoshop CS5? Why Are My Columns Labeled With Numbers Instead of Letters in Excel 2013?